Recently renovated and is located in exclusive and secluded neighborhood in central El Paso. It has breath taking views of the city and the mountains, close to restaurants and dining, and nightlife. 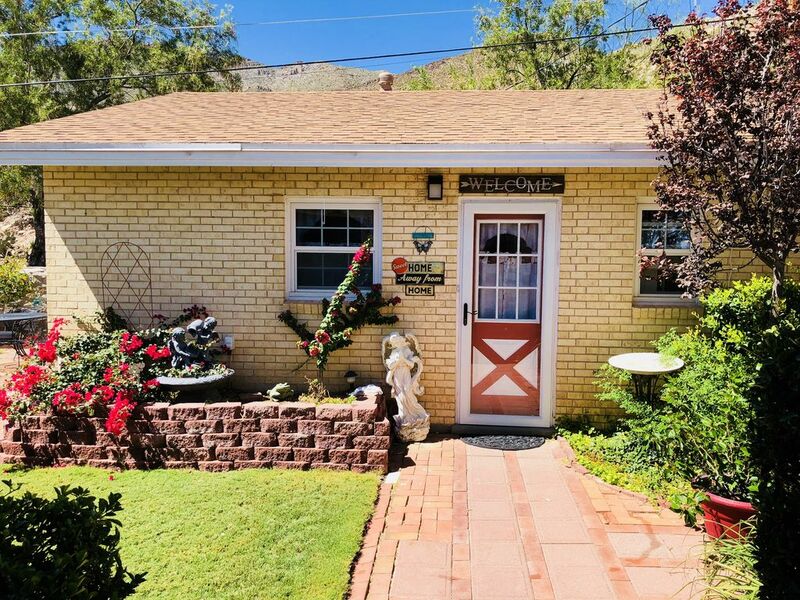 Casita is private, peaceful and extremely quiet in an amazing, well maintained plush property nestled against the franklin mountains. Casita is good for couples, solo adventurers, and business travelers. If you need transportation before 630am or after 4pm or on the weekends, we provide Uber services. My stay was only 2 days. I was comfortable and the area was quiet. The hosts were very nice and responsive if you need anything. I enjoyed my stay. Thank you. Everything was wonderful.The neighborhood was lovely. I loved that they had a safe back yard for my dog to be out. Great choice for an El Paso getaway! The casita and hosts were warm, welcoming and accommodating in every way. Perfect private and safe location, just minutes from downtown and UTEP. The view of the city lights at night is spectacular! Clean, comfortable and dog-friendly. We would definitely recommend and stay there again in the future. Best place in El Paso! Very responsive host. Easy check-in with code. Clean and well-stocked with a coffee bar. Private parking in driveway. Nice neighborhood. Comfortable bed. Bedroom is dark and completely quiet at night. This is now my go-to spot when passing through El Paso. Great job Christine! This quiet casita is on the edge of town, on a hillside, with a spectacular view of El Paso. We stayed here twice, a week apart. The casita is modern and spacious. Christine and Peter are amazing hosts. They have taken great care to make their home a welcoming place.